Facebook instant articles has come to give publishers the opportunity to get more eyeballs on their articles and to have their own share of Facebook ‘’money’’. To the Facebook users they will have opportunity to enjoy news on Facebook on their phones without migrating from one site to another. This is Facebook products that allow publishers to create and published articles on Facebook. 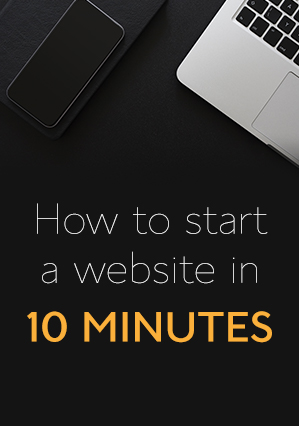 An instant article is available for those using the internet on mobile devices. These articles are fast and responsive and said to be 1o times faster than the mobile web articles .An article published as an instant article can only be viewed on the Facebook app. However the article is formatted to look like the reader is on your webpage. Instant articles load faster and can easily be shared. Who can publish an instant article? After the official launching of the instant article program during the F8 conference in San Francisco, every publisher is open to publish an instant article on Facebook. Now that this product is available to every publisher, what does it take to get involve? -Create a Facebook app ID. -Have at least ten articles ready to be published. Any publisher with this requirement can become an instant article publisher. =Select the page where you want to enable the instant article tool and access the tool. With this you have join the program. You can always have access to it by clicking the ‘’ Publishing Tool'' on the page you manage. On your Facebook page (Click Publishing tools==Instant article==Configuration). *Claim the site you want to publish instant articles. *style your articles with the Style Editor. *Download the Pages manager app (to preview your article. The instant article App is available for Android and iOS. From here we can now proceed to publishing. To get your article published, submit your ten articles to the instant article review team and wait for approval. It can take about 3-5 days for your articles to be approved. Once your articles are approved you can now proceed to publish them. How will you benefit from Facebook instant articles? As an instant article publisher, you can sign up for Audience network to shows ads in your articles. This helps to monetize content. Revenue generated in share between you and Facebook. Publishers will also gain exposure to a larger audience. This will give more eye balls on articles, shares and recommendations. To make publishing easier, publishers can automate instant article publishing by using the instant article API or using RSS feed. 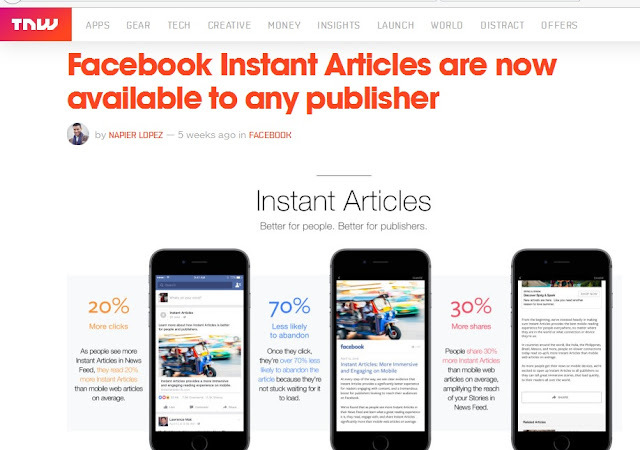 Facebook has put together several resource and tools to assist instant article publishers. Sample instant articles had been created for publishers to check out, a word press plugin for instant article exist which permits publishers to connect to their Facebook page and publish instant articles. The Facebook instant article came at the moment when Google implemented accelerated mobile pages. LinkedIn will soon be introducing a feature similar to Facebook instant articles. Twitter is doing great with twitter cards too. There is an increasing competition for mobile ad space. Google is in the lead with several mobile ad formats and recently publishers are testing ‘’Page level Ads’’. Instant articles will great increase Facebook share of the mobile ads revenue a, help publisher’s gain more views, and make news easy get to every Facebook user. This will only be a success if publishers are willing to join the program. With big names like National Geographic, NBC news,The Guardian New York Times, BuzzFeed and others. Instant articles will probably be a success. What is your opinion about Facebook instant article program? How do I get started with instant articles sir?